Hi. I own a childcare and have a little 2.5-year old girl who “fake cries” nearly all day. Really, out of the 9 hours that she is with me, 5-8 are spent crying. Yet she has never shed a tear, and she is instantly ecstatic when she gets her way about something (pure joy). She cries about transitions, she cries about mama, she cries when we finish lunch (she knows nap time is coming). I’ve made a spot for her in the corner (we call it the crying corner) where she can take her blanket and play with toys until she feels like joining the group. She NEVER lets go of her blanket, freaks out over having to take off her shoes indoors, and wants to wear her jacket all day. It’s all day. She doesn’t nap, but cries through the nap period. I have to move her out of the nap room so the other kids can rest. I tried asking her if she would like to rest in the main room with me, and she happily said yes. It went wonderfully the first day (she sat on the floor with her blanket, head bobbing from exhaustion, but did not sleep). The next day, the crying started again. The family seem to be the nicest people on the planet. Very kind, very friendly. But they talk to her in a whine (baby talk). She has “num-nums” for meals and drinks from a “baba”. They don’t even call her by her name (Lila), but “Lie-Lie” in a sing-songy whine. The child only speaks baby talk in a whine, as well, because that’s how they talk to her. 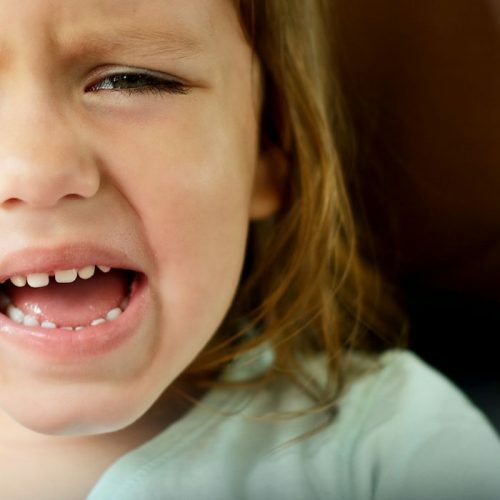 I have a children’s therapist who visits daycare, and she says that the child is basically tantruming all day and that her behavior is learned — that when she pretends to cry, she gets what she wants. Her mother confirms that she does get what she wants with this behavior when she does it at home. I can’t make this child happy. She wants to stay home with her mom (she’s very verbal and tells us this). The therapist says this fake crying is learned manipulation. She advised me to ignore it and lavishly praise the positive behaviors, but they are SO infrequent! I hate to see this little girl spend her day like this. We are on Week 5 of daycare. I have LOTS of kids who arrived on the first day scared, crying real tears, and took some time to come out of their shell. They all adjust within 6 weeks and are now happy little kids who still attend my care. Nothing I’ve done to try to help this little girl has had any impact. Her mother dropped her off this morning at 8:30 and told me she’d been fake crying since she woke up at 6:30, apologized, and left. I am wondering if the child should be seen for a psychiatric or neurological evaluation. I’m at a total loss and feeling like I’m failing this little one. Any recommendations would be appreciated. I can certainly understand how challenging this situation must be for you and your center, and I appreciate your obvious compassion for Lila. Please excuse my bluntness, but your therapist’s assessment makes me furious. Lila is not manipulating you or her parents with fake emotions. She is doing what children always do — trying her very, very best to function in your environment. A toddler has neither the instinct nor the skillset to intentionally game a system. Rather, she will do all she can with what she knows to adapt to it. Our perceptions of children and their behavior are a crucial starting point for any accurate assessment. What we see will always decide how we respond, and this is where your therapist gets it all wrong. She then exacerbates her erroneous conclusion that this toddler is a manipulator by advising you to manipulate the child right back! She suggests attempting to manage her behavior with over-the-top praise (that even the youngest infant would know is inauthentic) and using selective inattention. While that approach might work with puppies or lab rats, Lila is a fully aware, impressionable human being. She needs and deserves to be treated as such. She needs to build human-to-human relationships with her caregivers that – like all healthy relationships — are formed through honesty, empathy, and trust. I don’t believe it is our place or the slightest bit helpful to decide whether or not another person’s feelings are real. Our best response always is to accept and acknowledge the feelings however they show up – just accept, and not try to “handle” those feelings. As I’ve shared in many of my posts and podcasts, acceptance is not an active verb. It does not mean dropping everything to comfort a child (unless they are obviously hurt). It doesn’t mean we need to crouch down and speak in a soothing voice until that child feels better. While it’s nice to do that sometimes when we are available, dropping everything may demonstrate a hyper-concern, spotlighting a child’s feelings as if expressions of emotions are an unnatural event rather than a normal, cyclical flow of moods and feelings. I would also stop asking her to move to a special place to express her feelings. It will help you and her family to normalize them if you can confidently carry on with her in whatever mood she’s in. “Sounds like you don’t feel like going outside with us right now. I hear that! I’m going to give you a helping hand because we want you with us.” If she resists: “Wow, this is very hard for you. You don’t want to come outside.” While you acknowledge those feelings, kindly move her along with confident momentum. Even with your patience and valiant efforts, it is true that you can’t, as you say, make Lila happy. None of us have that power with another person. Our best chance of fostering happiness is to make it our goal to fully accept and trust every feeling that presents itself. Acceptance is the best relationship-builder, and your relationship with Lila will provide a sense of comfort and ease Lila’s stress. From your description of the interactions between Lila and her parents, it seems they may be infantilizing her. My guess is that she has been habitually responded to as needy, helpless, and someone to pity, rather than as a strong toddler sharing strong opinions. Again, our perceptions matter a great deal. They not only inform our responses to behavior, but also tend to become self-defining for children. So when we perceive a toddler as weak, needy, helpless, she can begin to believe those things about herself. It sounds like Lila has taken on that identity. So, instead of addressing the “poor baby,” I would see and speak to the strong toddler within her: “I hear you saying ‘no’, you don’t want your mom to go. You don’t want her to do that… Wow, sounds like you strongly disagree with that decision. That’s so hard when we don’t get what we want, isn’t it?” I wouldn’t say all those things at once, but that’s the direction and spirit. And I would say it in a manner that encourages her to express herself forcefully rather than sadly and helplessly. See the strong girl in her. Invite her into the room. Every toddler has one, and this needs to be recognized. Stop perceiving this as “fake crying” and, instead, see a healthy girl with a healthy toddler will. Nurturing this perception of her will set her free. Lila seems in very good hands. You’re not failing her! I think you’ll see a change soon, but if you continue to have concerns you might consider seeking further evaluations. Thank you for reaching out to me. Thanks, Leslie! Yes, I would treat whining similarly to “fake crying”. Just let it be. Maybe consider why it makes you feel snappy. It could be that you are perceiving it as a call to action or something you have to fix. Try to perceive it as normal and let it go. Wow. I love your response to this situation. I just wanted to thank you for writing this! So beautifully said and explained. Although I have been reading and listening to you diligently for over two years now, every time you write something new, it explains another facet, another nuance. Lila is a very lucky girl that her caretaker has reached out to you. The therapists response made my blood boil. Hopefully, your takes and sound ideas will be taken on board, and who knows- maybe even shared with the parents. Spreading the word of respect! Your response made my heart sing! Very lucky Lila who has a caretaker who cares enough about her well-being to contact you after a “professional” has already given advice. Thank you for all you do and for making this available to all of us! Emily, it would be lovely if you could keep us posted on how things evolve with Lila. Wonderful that you reached out to Janet! Cecilia and Corinne – Thank you so much for your supportive comments! I also greatly appreciate Lila’s teacher/caregiver and hope she can give us an update. Hi very some very good advice here. Could anybody point me in the direction of advice for how to deal with a toddler ( just 2) that keeps biting and trying to hurt her new baby brother. (1 month old) she loves him and wants to kiss him and touch him and odiously doesn’t realise her own strength. We are very positive with her and she has lots of attention from everyone. I am just really struggling with how to deal with the biting. Any advice appreciated. Wow, Kelly, thank you for coming through with those links. You ROCK! Emma, it’s sounds like your daughter’s intense mix of emotions around this big transition are getting the better of her. That is to be expected. I hope the articles Kelly shared are helpful to you. Please let me know what you think. This is an amazing response. Thank you for sharing. Sorry to pick, but are the names changed? I just wonder as the girls name is quite rare. Yes, the names were changed. I guess I should have mentioned that in the post. Thanks for your kind words! The therapist and the childcare giver have made anger rise from my stomach to my throat. And sadness. Deep sadness that people see children as manipulative or mentally unsound (!) instead of overwhelmed, misunderstood and frightened. Thank you for your calm, honest, measured advice. I hope it is taken. Yes, I agree that the way children are perceived is unfortunate, but I am heartened by the progress we’re making in online communities like these. Thank you, Alexia. I have a question. I work at a day care. I’ve got some pretty strong bonds with all of my kids, but one girl is particularly special, but whenever I’m there she will cry at the smallest thing. The other staff in our room don’t hesitate to tell me that she never cries like this when I’m NOT there. I used to think it was some kind of ploy for attention but now I just wonder if she only does it with me because I respond to her and that she knows I’ll listen to her and work with her to make it better. I love her to death but 5 crying tantrums in 2 hours can be exhausting. She’s 2, almost three. I know toddlers are very emotional beings and wonder if it’s something she needs to grow out of, or if it’s me? Like I said, she doesn’t do it when I’m not there but the other staff in the room, if I may, are not NEARLY as empathetic as I am with the kids. Help? When my son (25months now) is showing this behaviour I normally ask him to use his words. Most of the time he stops whining/fake crying and tells me what’s wrong. The occasional time he doesn’t respond I ask him if he knows why is he whining/crying. Mostly the answer is ‘no’. If this is the case, we have a big cuddle, which solves it. It not only gives him the opportunity to explore his feelings but also his verbal communication. And on top it clearly tells him that we care about him and his feelings. Whining/fake crying is getting less and less now and he’s vocally expressing more what he wants, needs and feels. I’m so glad your approach is working for you, Esther. I would only caution you to not get too invested in “solving” the feelings for him. It really IS okay to just BE in our feelings for however long they last. That’s great…. my child is same age as yours but non verbal. So I get a lot of whining but I obviously can’t use your method…. It is probably not the case in this instance but some sort of trauma may be happening to this kid. Coming from previous experience. Love your response. It’s almost impossible to believe that we live in the information age and therapists still think kids are manipulative. That’s so true, Mara. And if there is trauma, allowing the child to process her feelings as they come with our support is the best thing we can do. I really liked your response to this letter. Part of me also wonders if this child is experiencing chronic pain. My daughter was very whiny and cried a lot until the day she got ear tubes for recurrent ear infections. In a matter of hours, she became a happy, playful child. As a new mom, I just thought babies cried a lot! I had no idea how much pain she had been in for most of her life. Hmm… That might be something to check out, if these parents haven’t already done so. Thanks for weighing in, Bonnie. Janet, I’m troubled by your decision to lead this post with a rant. I’m sure both Emily and the therapist she consults with are doing their absolute best. Your anger poured through my screen, and it made me uncomfortable for Emily and hesitant to ever write you for advice lest I feel the wrath of your judgement. Excellent, as usual! Classic Lansbury: the strategy is: don’t react. Create the social environment YOU want to have which includes treating your child as if she is the mature creature you would most fondly hope she would be rather than the baby she seems to be. Thanks, Rick! But just to be clear… I’m not suggesting treating this child as if she is older than she is, but only to engage with her as an intelligent, aware person. Very well written and thank you. I would also recommend an early intervention assessment/evaluation for this little one. It is quite possible if not even likely that some of her issues are also related to sensory issues, the constant wearing of the jacket, the difficult transitions also could be signs of other developmental delays. It is very important she receive a full of valuation as there are treatments available and the sooner the better during the early brain development years. Thank you so much, Nancy. Yes, sensory issues are a possibility that should certainly be checked out if there are concerns. I also love your response, thank you! I think this child may be expressing anxiety, especially at transitions. This is common at her age. If you are able to tell this caregiver, maybe simply telling the child many times ahead of time what is about to happen, (such as at one hour til then 1/2 hour til then 15 min til then 5 min til then 1 min til), the child could mentally prepare herself and, with time, learn to trust and calm down. And do this with everything, nap time, meal time, outside time, free play time, clean up time, etc… I have found this can really help some children. Even if you think a child knows what is going to happen based on experience sometimes they don’t. Even if it has happened the same way a dozen or more times. I have seen this in children as young as 18months and as old as 8years. This technique can work like a miracle for some children. BTW – I was just like this little girl in this post. I remember being 3 and in both a daycare and in a childcare home. I was having extreme anxiety. I was treated as if I were being bad and they were extremely annoyed with me in both places. I had to sit on the couch in one place (not so bad) and they took away my comfort item (a doll) in the other place. I was bewildered, confused and scared and their treatment of me just made it worse. Very vivid memories to this day. I am very sorry to hear about the anxiety you suffered and the insensitive way it was handled. These early, formative years can have a lasting impact on our emotional health. Thank you so much for sharing with us. I wonder if you can help. My son has just turned 1 and started walking a few weeks ago. I have been trying to practice RIE with him since he was about 4/5 months. I will admit, I have found it tough. Anyway, I wanted to get your advice on how to approach a few situations, especially as we are hitting early toddlerhood. 1. How do you approach constant whining at this age? For example, some days he just seems very unsettled (even if have ruled out all the options). He won’t play independently and will hang onto my legs if I move away. So, we end up just sort of sitting around in limbo, not really knowing what to do! What are the best things to say and do when he is like this? I have read your post about clinginess but he doesn’t seem to want to sit on my lap, he just sort of looks maybe bored? 2. I feel confused about to set/explain limits in public. For example, we were at the doctor’s surgery this afternoon and he (quite fairly) wanted to walk around. I let him do this a bit because he wasn’t happy sitting in his pram and couldn’t sit with me. However, he started walking around the waiting area and pulling leaflets off the shelves. I got down to his level and explained but he just went off somewhere else. In the end, I had to pick him up and hold him but he sort of climbed me. I also felt bad because I felt that perhaps other patients might not want a child walking around them if they were feeling unwell/anxious. I try to explain everything we do before we go somewhere but at this age it hasn’t ‘stuck’ – so what’s the best approach? 3. Diaper changes are a disaster! I go slowly and talk to him and have done since I started RIE. But this has just never really worked. I don’t expect him to cooperate as such but he just gets so upset. I have tried standing up changes, the lot. But he just seems so very upset by getting dressed and having his diaper changed. What can I do? Thank you for all you do, I hope you can help. This is excellent and – sadly – very rare advice. The word “manipulate” should never be used to describe a child’s behavior. Children don’t manipulate, they communicate their feelings as well as they can. Please see Robin Grille’s article “Emotions are Not Bad Behavior” on our Natural Child Project site at ww.naturalchild.org/robin_grille/emotions.html. I HATE it when people say or imply that kids manipulate adults, and I absolutely love your response. I would add to it that the parents should check Lila’s diet. Some foods (sugar, simple carbs) can lower the frustration threshold of a child. What is the thought about children hurting themselves to get attention? My 4yo will fall off chairs, hit himself on the head, pinch himself, which is distressing. However, he always does it within a comfortable limit – he doesn’t really want to hurt himself. Sometimes he accidentally does though. His teachers last year (who employ some RIE practices) recommended an eval for SPD which we did. He is in OT 1x week, and one of the primary things his therapist is working on now is self-regulation. I think this falls under ‘Health and Safety’. I don’t think the appropriate response is an observant “Wow, you want to hurt yourself”. But I am getting tangled up between the attention seeking and the self-destruction. Any recommendations would be gratefully received. This behavior becomes a “power tool” when we demonstrate to children that we are bothered by it, so a calm response is very important. I would notice the behavior, but trust that, as you say, your child “doesn’t really want to hurt himself.” So you could even say, while nodding your head, “Wow, that made you want to pinch yourself. I see that!” But make sure your response is not one of concern or fueled with any other emotion. Isn’t a “power tool” a manipulation device? I was looking for something on ‘fake crying,’ as my boyfriend and ex husband, mother, and brother think I’m too patient/gentle and that I let my son get away with too much (right now his big thing is picky eating) . I mixed things he likes woth his food today, but he just ate the toast that he likes, no potatoes or chicken, etc. He started calling me (he’s 3) at 10:40pm. I checked on him, and he looked uncomfortable. I gave him some peanut butter on a spoon because I thought he might be too hungry to sleep, maybe thirsty, too. Anyway, we looked at stars on my phone and had snuggles. He was laying down with me, then I told him he had to get back into his bed (I was falling asleep). 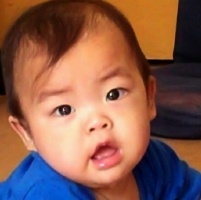 He gave me such mournful eyes and made crying sounds, but no tears. Even I felt he was manipulating me in the hopes that I’d let him come out and play with his toys. I suppose, though, that he’s just telling me the truth and communicating his disappointment at having to go to bed? My kid has a strange behavior I don’t know how to deal it. If any guest comes to my home she never let us talk. She keeps talking with us and the guests and when she fed up. she creates full drama. We feel embarrassed with her strange behavior. Can you give some advice? My son turned 3 in July and I can relate to almost everything i have read that you have written. Thank you so much for putting things into prospective that I normally wouldn’t ha e thought of! Hi Leila! Can you be a bit clearer about what you are asking? Thanks! Is acknowledging wasted when your child is crying/yelling over you? I often have trouble getting a word in between his cries. And wonder if it is wasted breath. Must I sit with him until he is calm? His yes space is in the family room right next to the kitchen. He often protests bring in there when I try to make dinner. Is it wron to acknowledge, then go into the kitchen to make dinner/wash dishes? It’s not wasted, but it might be even better to be thinking those things, while quietly holding the space for his feelings. No, you don’t need to sit with him, but just accept and allow him to express his feelings. My cats have the capacity to adjust the pitch of their meow to illicit a response from me for certain things based on past responses I have given them. If my cats can do this then a toddler has no problem achieving the same sweet deal. She is clearly not manipulating with ill intent in the way adults see it and are more familiar with in every day life. however, she is doing the same thing my cats do: use what works. This little girl has probably been given the correct/desired response [attention] with the use of whining or “fake” crying. So, she uses what she knows to get what she wants [attention/everything she wants]. She clearly has no ill intent nor is she a monster child. This poor lady just can’t really fix the behaviour because there needs to be a consistent and routine ignoring of the fake whining. My boyfriend’s son used to fake whine ALL the time when he was in his crib. He would call out “daddy” and do that fake forced whine and my boyfriend would respond and thus his son would do this every night. On the nights I put him to bed, I do not respond to these calls nor the whining. Eventually, at 2 and a half, he knew if daddy put him to bed he’d be able to call out and get a response but if I put him to bed he wouldn’t even bother trying because I literally never gave into the behaviour. Young children may not understand the same way we do, but when they become aware of their autonomy and their own words and the world around them and the people in it, they learn how to act based on the worlds reactions to that action itself. I believe this is just a major case of bad parenting. you ever wonder why she is crying? maybe her parents abuse her!!! Maybe its a way of her telling you cause she cant talk. I have a child I look after 5 but working st 24-36 months. Pre verbal and ASD diagnosis and she will cry, scream, lash out when she doesn’t get a toy she wants or is asked to do something she doesn’t want to do. But as soon as she gets the toy or I move away a big smile appears,the tears stops and off she goes happily playing. Again I have been told it’s learnt behaviour and manipulative. Is your advise the same for this child ? This is about the biggest load of BS I’ve ever read. You contradict yourself throughout your message. First you say the therapist is absolutely wrong, that the child cannot be manipulating anyone… “A toddler has neither the instinct nor the skillset to intentionally game a system.” Seriously?? Most kids I’ve been around have learned at an early age how to manipulate to get what they want. Oh, but she’s well above the ability to be conned with fake praise?? “While that approach might work with puppies or lab rats, Lila is a fully aware, impressionable human being.” I think you give way too much credit here and not nearly enough on toddlers knowing full well how to “game a system”. Great article. Needed to read this to help my kiddo. None of this takes into account the wear and tear on everyone else’s nerves. How do you propose everyone stays sane while one toddler cries for eight hours? I’ve just finished with a family who has a little boy, now 14 months, with exactly this behaviour. It took five months of ups and downs, but we made it. I used earplugs for the first time in my life. As a home child care provider, I agree with most of this advice. However I have found that RIE is really hard to follow sometimes in a group care setting when the child is not treated the same way at home. It almost ends up confusing them and stressing them out even more. Child care providers are responsible for the care of the whole group, not just one child, so it is imperative to take the whole group into account when one child is disrupting everyone. In this case, I would not be able to continue care. Hearing crying all day is highly stressful for the group and for the provider even if you are accepting of their feelings and doing everything calm and respectfully. I think the respectful thing for the child AND for the rest of children in care is to accept that this setting is not adequate for the child and suggest other forms of care like a nanny so she could have more one on one. It stinks that our society makes it near impossible for some families to choose this option or just stay home with their children, but group care is not for everyone and if a child was struggling this much, I would make sure she wouldn’t have to keep being in that setting for her own sake. RIE is great and I follow it diligently in my daycare, but if a child can’t handle it and doesn’t get consistent treatment at home and daycare, it’s hard to do, even for the most practiced RIE provider. I completely agree. My son is very sensitive to other children crying. He would not be able to function properly with crying in his surrounding the whole day long. It is not practical and productive to continue with activities with a crying kid and so stressful and unpleasant it is unrealistic to expect that from anyone.